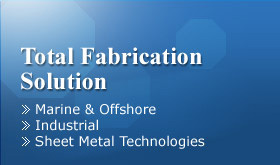 BBN INDUSTRIES (S) PTE LTD specialized in designing, supply and fabrication of metal products for the oil & gas, construction, marine and offshore industries. Our objective is to provide customers with a wide range of high quality products and services in accordance to our customers specifications. We have the support of our team of well trained and experience staff. BBN always remain true and excellent is our commitment in serving our clients requirement. With clear objective and good communication throughout the structure of the company, we are confident of forging ahead to meet our objectives.